Dad of Divas' Reviews: National Geographic & Uncle Milton Toys Partner To Create Great Toys! National Geographic & Uncle Milton Toys Partner To Create Great Toys! National Geographic and Uncle Milton Industries have joined forces to create an exciting new line of outdoor explorer-themed toys and activities geared to children ages five and up. "We are thrilled to be working with National Geographic," said Frank Adler, president of Uncle Milton Industries. "Utilizing the authenticity and resources of National Geographic has enabled us to develop a very inspiring new toy line that cultivates fun and fresh play experiences, while connecting young explorers to the world around them." "Every day, National Geographic explorers travel the globe to advance our knowledge and provide the world with scientific breakthroughs and discoveries," said Krista Newberry, senior vice president, licensing, for National Geographic. "As the toy leader in the science and nature category, Uncle Milton is particularly skilled at creating products that capture National Geographic's adventurous spirit and help inspire the next generation of explorers." The new National Geographic Outdoor Explorer Series features nine items, each with its own activity guide containing recommendations for the young explorer on how to use the product out in the field. 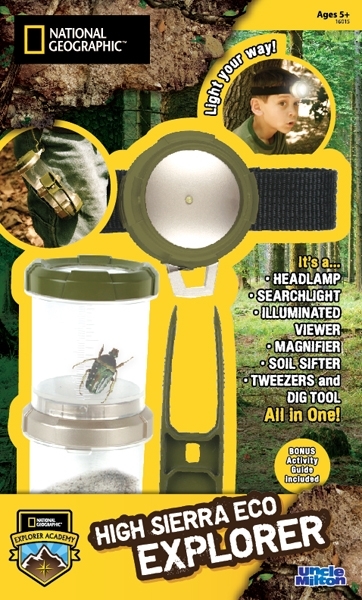 From imaginative clip-on shoe lights, which shine a bright path in the dark, to an exciting new game of discovery called "Earth Tag," this fantastic new line features something for every young explorer. A companion site, the National Geographic Explorer Academy (natgeoacademy.com), will launch this spring, featuring information about the new "Outdoor Explorer" line of products and ideas to inspire the adventures of young explorers. The action game of discovery! Take aim at adventure with Earth Tag! Have a blast with your friends or on your own, targeting and identifying all kinds of outdoor objects. The Earth is your playing field in this action-packed game! CAUTION: Do not aim directly at people or animals. 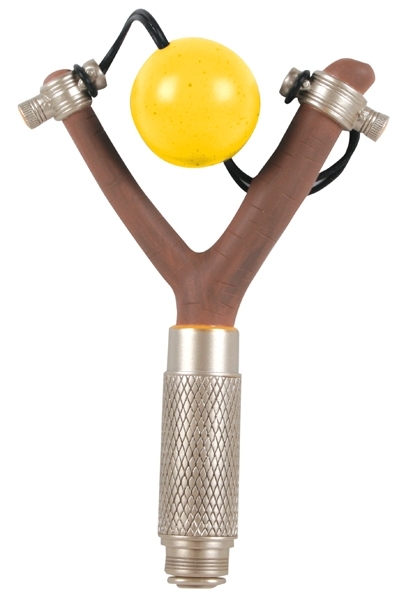 Perfect for backyard exploring, this multi-use tool is great for digging, collecting, and examining the small treasures you find above and below the earth's surface. 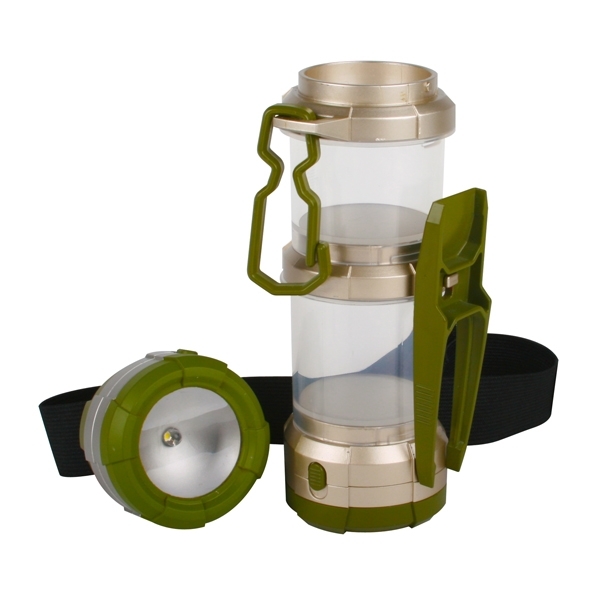 Included is a strap to covert the illuminated viewer into a cool headlamp that lights your way! WARNING: Do not look directly into the light. Remember to always release critters back into their natural habitats. These new toys were great, not only because of the quality of the construction and for the cost, but also because of the fact that it encourages your children to get outside and explore the world around them. The Earth Tag game was fun and the balls did not hurt when you are hit by them, but it does take a bit of practice to get your aim just right. The High Sierra Explorer was fun because it had so many different things that it allowed you to do to explore the world around you. From the tweezers, to the headlamp and collection boxes, you are provided the opportunity to collect specimens and see the world in all of its glory. In looking at the Uncle Milton website, I can tell that the other toys will do the same to encourage this outdoor play as well as interaction between the Earth and our children. Great educational toys that I would highly recommend. MARVEL’S THE AVENGERS! New Poster! New GUM Star Wars Toothbrushes! "The Sitter" - Out on Blu-ray and DVD March 20! Book Review - Never Apply For a Job Again! Book Review - Polar Bears Aren't White, You Know. Chuao Chocolate Will Delight Your Taste buds!